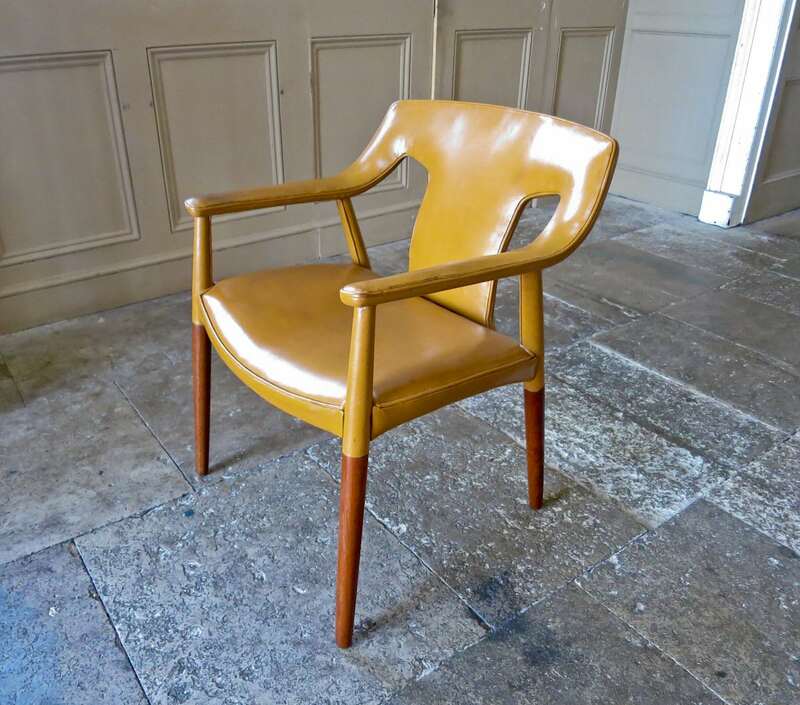 A beautiful and rare Danish armchair of sculptural form in teak and tan leather by Ejner Larsen & Aksel Bender Madsen, produced by master cabinetmaker Ludvig Pontoppidan. 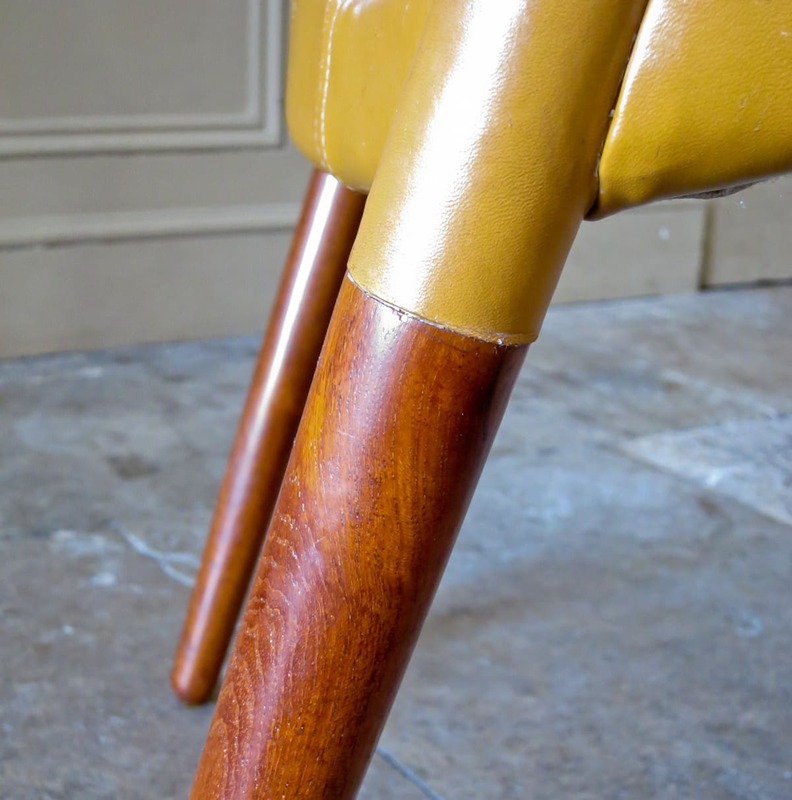 A curved back splat that flows into the armrests supported by teak legs, upholstered in its original patinated leather. 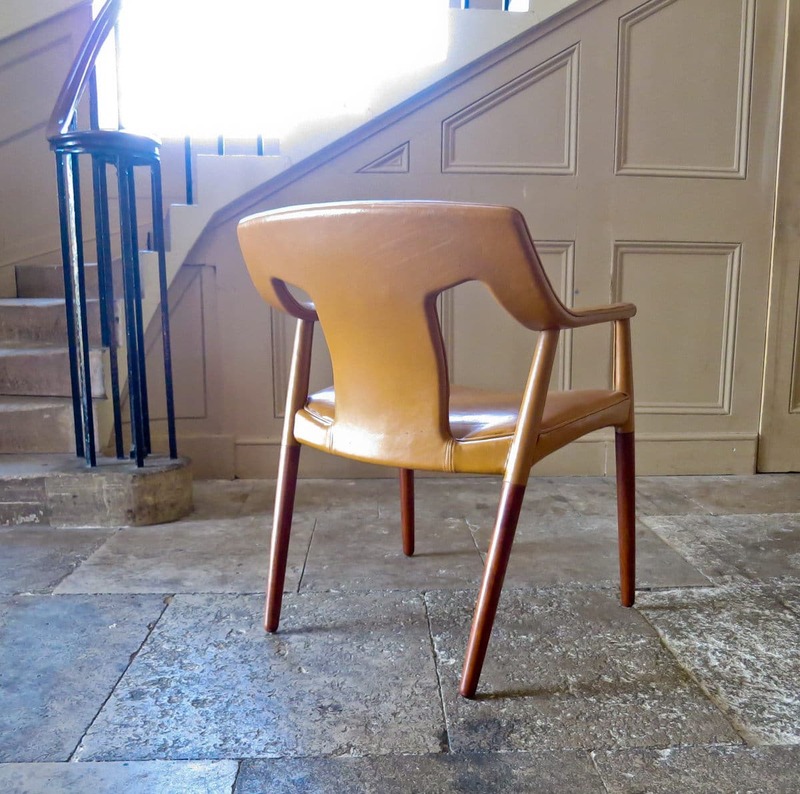 Presented at the Copenhagen Cabinetmakers Guild of 1956, and in an excellent original condition. 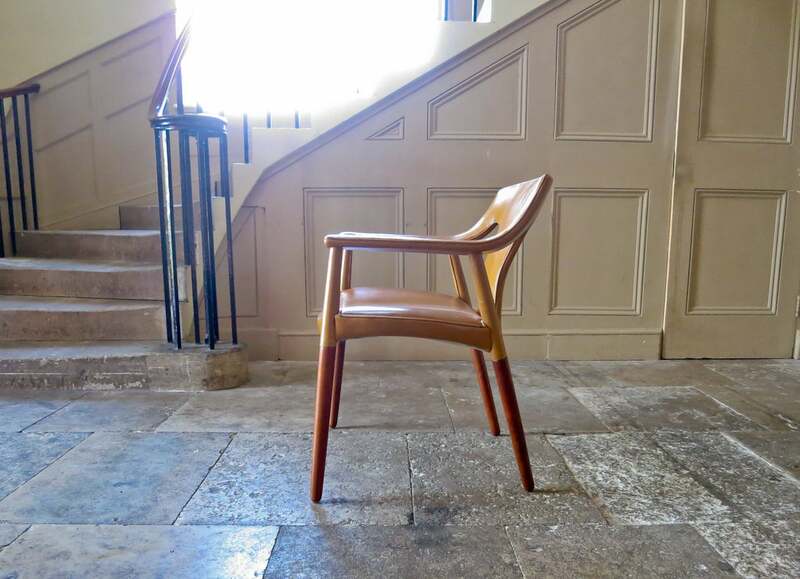 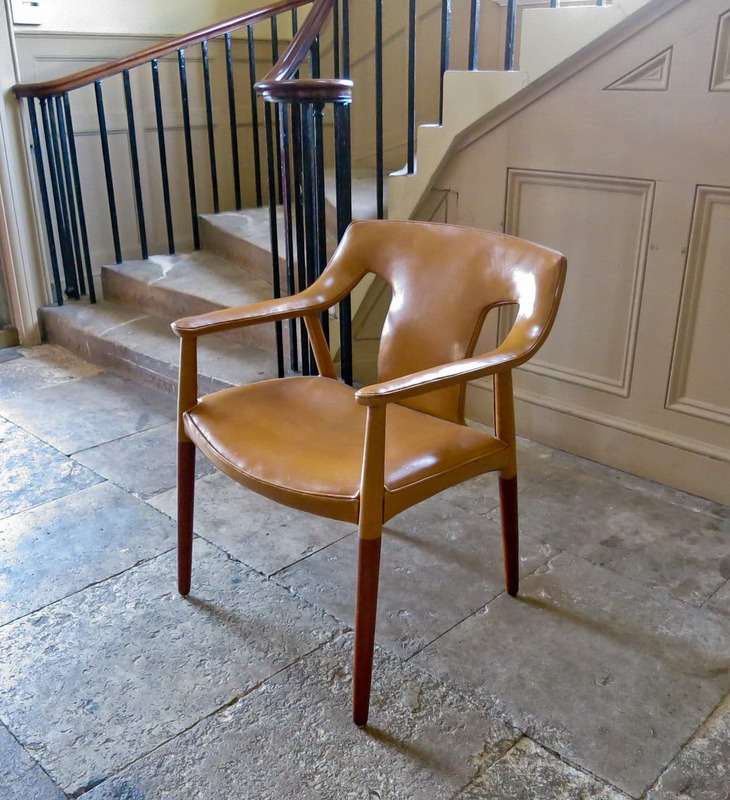 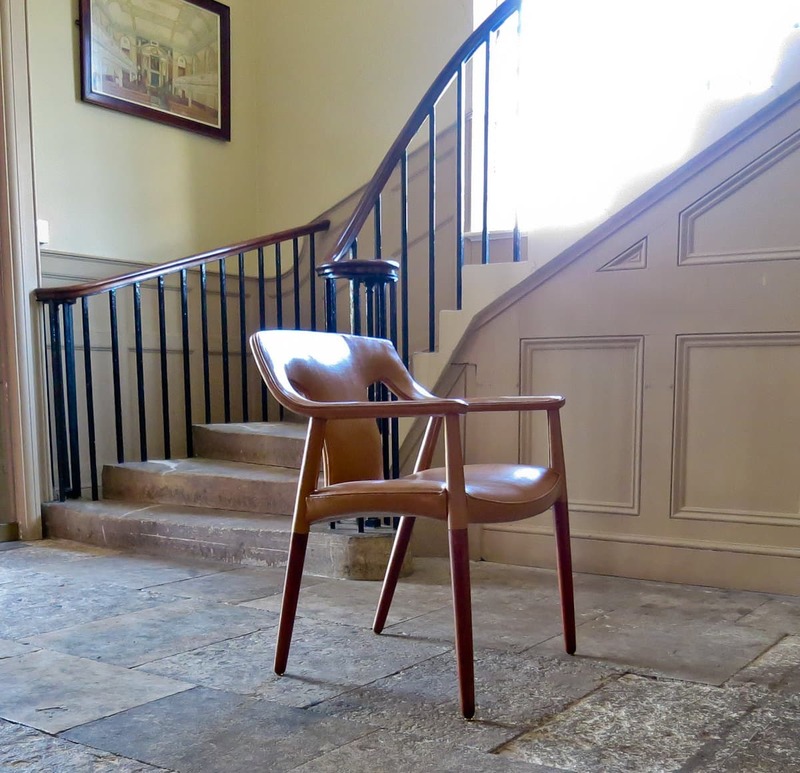 A beautiful Danish armchair with really interesting curves and lines, and original use of leather upholstery. 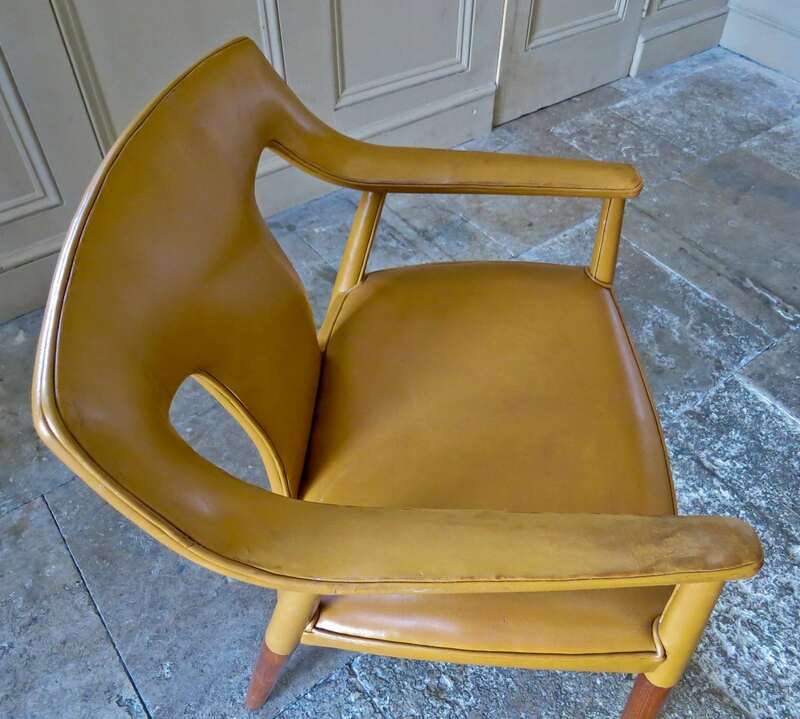 Very reminiscent of the earlier Gerald Summers plywood chair as in the back and arms flow into one. 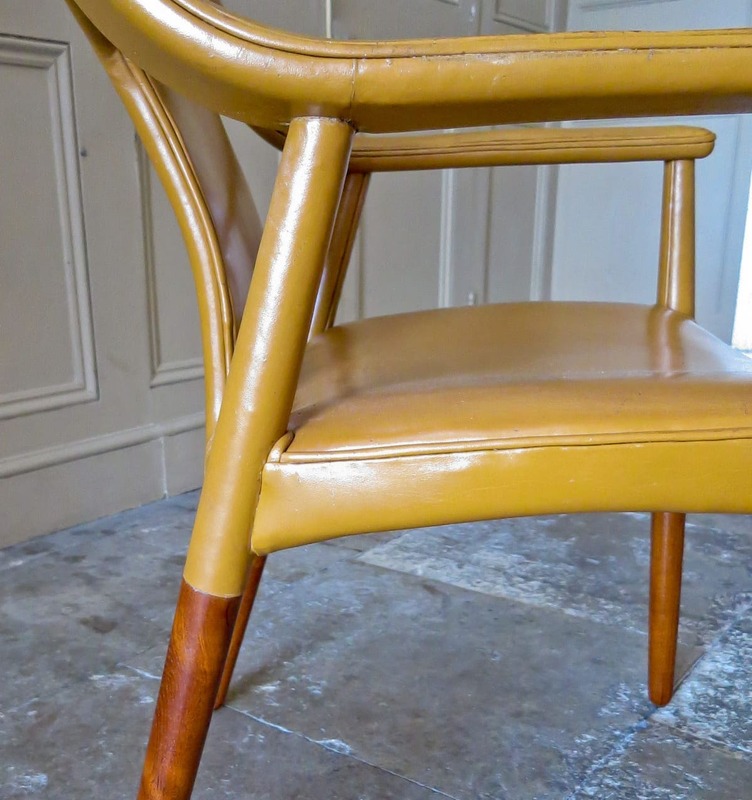 Made by respected cabinetmaker Ludvig Pontoppidan a rare chair today.